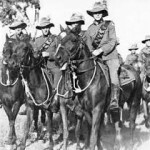 Apart from their well-recorded wartime exploits, folklore has endowed the Australian Imperial Force (AIF) light horsemen with a mystique and image that distinguishes them from their fellow diggers. 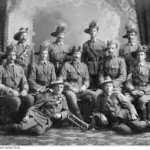 Official historian, H. S. Gullet, described them as, “in body and spirit the true product of the Australian countryside … the very flower of their race”. Gullet went on to relate that light horsemen had been bestowed with a certain “native” quality, forged from Australia’s pioneering heritage. 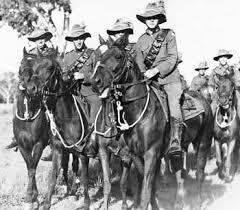 They traced a proud lineage back to the Australian mounted contingents that served in the South African War (Boer War), 1899-1902. Apart from his imposing mount, the light horseman’s uniform differed only slightly from that of the common soldier’s drab khaki, namely, by the addition of polished leather accouterments and spurs. 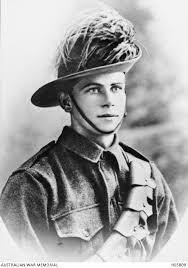 This was crowned with the Australian felt hat, so closely associated with the ethos of the digger. 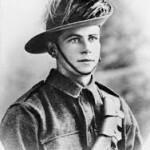 Yet in the light horseman’s case, the slouch hat was often adorned with what became the light horseman’s most distinctive embellishment – the emu feather plume. This plume became the symbol of the light horse, inseparable from its legend. The most famous of the Lighthorse legend was the Charge of Beersheba. The first two frontal attacks on Gaza, in March and April 1917, failed. The British Army re-organised before trying again. 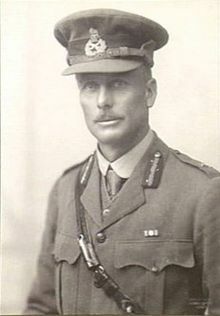 The capture of Beersheba would break the Gaza—Beersheba line and enable the British, Australian and New Zealand forces to outflank Gaza. 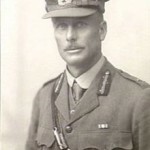 Australian Light Horse charge was led by Brigadier General William Grant who responded by ordering light horsemen of the 4th and 12th Regiments to charge at the unwired Turkish trenches. The light horsemen did not carry swords or lances, so they held their bayonets in their hands and used them as “swords”. The momentum of the surprise attack carried them through the Turkish defences. 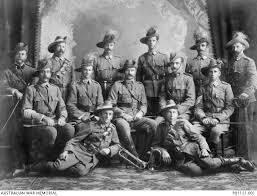 The light horsemen took less than an hour to overrun the Turkish trenches and enter Beersheba. Thirty-eight Turkish and German officers and about 700 other ranks were taken prisoner, and a supply of water was secured. The fall of Beersheba opened the way to outflank the Gaza—Beersheba Line. On 6 November, after severe fighting. Turkish forces began to withdraw from Gaza further into Palestine, the episode remains one of Australia’s most famous military battles.